NZ V6 teams dominate in 1000m races. 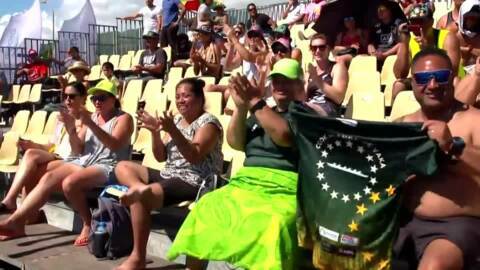 The finals for the long distance races were held today at the 18th IVF Va’a World Sprint Championships where New Zealand featured 20 teams in 12 of the 14 final races. 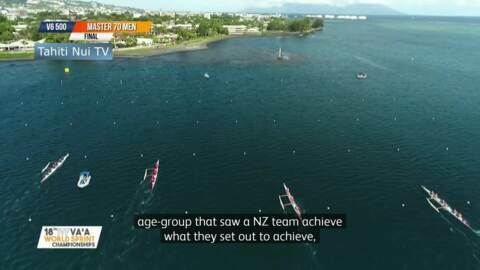 There were tears of joy shed with NZ women paddlers humbled with the results of their final races. 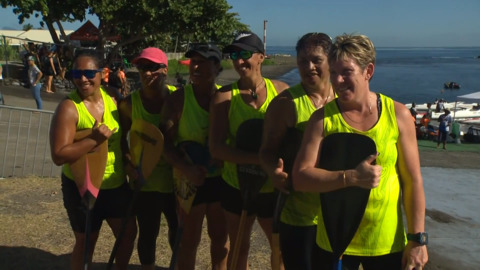 When eyes first meet the paddlers from Redcliffe, there’s no mistaking their Māori origins. 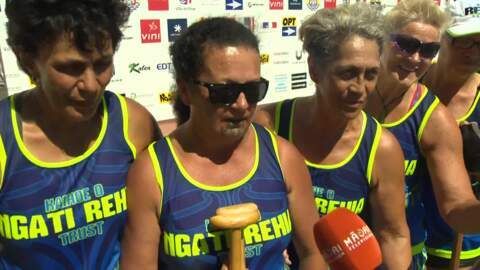 Naturally, the assumption is they, like the rest of the 500-odd strong contingent from Aotearoa, are in Tahiti paddling for their country. 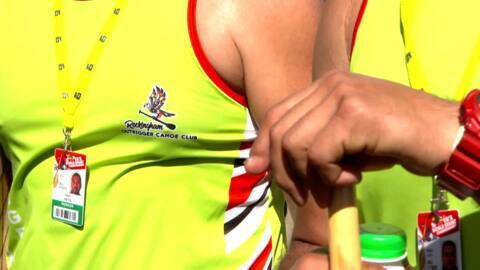 But it’s the green and gold tops they flaunt that confuses the onlooker. 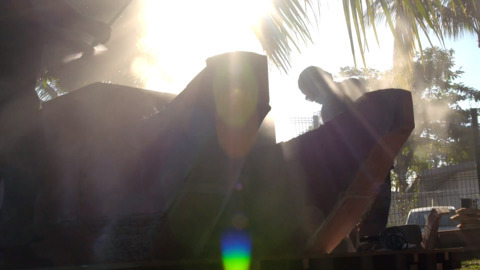 A double-hulled canoe is being carved from stone by local Tahiti carver Tamari'i Cere, marking the 18th IVF Va'a World Sprint Championships in Tahiti. 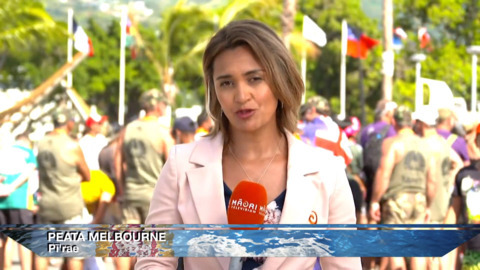 It was all about the turns in today’s races, with club teams taking the water to compete in the 1000 V6 races at the IVF Va’a World Sprint Championships in Tahiti. 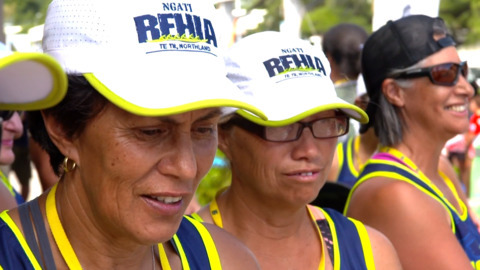 Whakatū Marae Waka Ama Club has had a hard week leading up to their first day of club competition at the IVF Va’a World Sprint Championships.